"As you can imagine where you place this [non-profit] is important and right at this age of where gentrification is happening. There’s people being squeezed-out a little bit in this area. It’s just the perfect place. There’s a bus stop right there," said Paisley. 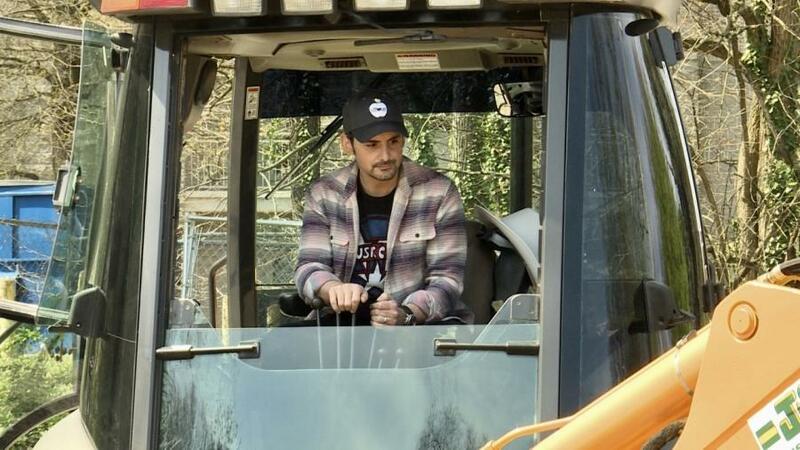 Country music singer Brad Paisley put his construction skills to the test recently as he and his wife, actress Kimberly Williams-Paisley, broke ground on "The Store," a new nonprofit that the couple has launched. 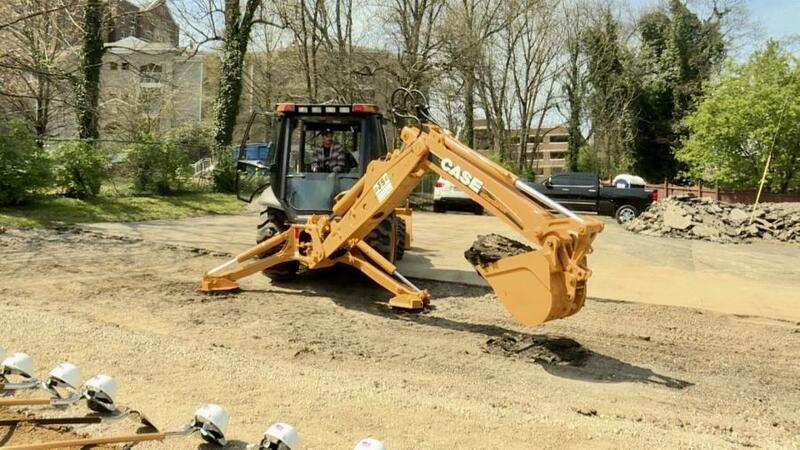 Paisley chose to use a Case backhoe for the official groundbreaking in Nashville next to the Belmont Ministry Center, ABC 15 reported. Belmont University, Paisley's alma mater, partnered with the singer to create a space where customers can "shop with dignity" for food and other necessities. "As you can imagine where you place this [non-profit] is important and right at this age of where gentrification is happening. There's people being squeezed-out a little bit in this area. It's just the perfect place. There's a bus stop right there," said Paisley. "A philosophy of community empowerment means we aim to solve hunger issues in our community by developing programs to meet the needs of the community, including partnering with other organizations on issues of food security," said the nonprofit's website. "We believe in cooperation and collaboration between organizations to better serve the community. Over time, we plan to develop additional supplemental services beyond the grocery store, such as job training, cooking and nutrition classes." Construction costs for The Store total $1.5 million, and are being funded through donations. Anyone interested can contribute to the cause, and donations of $500 or more will go toward personalized bricks that will make up a sidewalk in front of the facility. For more information, visit www.thestore.org.